Analyze the fallout of U.S. request to extradite Huawei CFO Meng Wanzhou. The arrest of Meng Wanzhou has raised eyebrows across the world, and whether officials on both sides knew or didn’t know before the G20’s Buenos Aires dinner, it must have outright shocked Beijing. Huawei’s CFO, also the daughter of its founder, was detained in Vancouver, Canada, of all places, and is facing a U.S. extradition request from the Eastern District of New York. For understandable reasons, China has launched an all-out diplomatic campaign demanding the rectification of a mistake and her immediate release. The fact that Meng has been granted bail isn’t really any consolation. What is for sure is that this action is an absolute first. Never before has America attempted the extraterritorial rendition of a Chinese national, any foreign national for that matter, in connection with sanction violations. There have been all sorts of restrictions on financial transactions and even travel, but there appears to be no precedent for an arrest warrant. The rest of the world is irritated to say the least and has quietly been musing whether Meng’s human rights have been violated and what the consequences of an extradition might be. Explain China’s messaging behind Beijing’s decision to detain three Canadian citizens. The Western mainstream media is obviously trying to hype up the detention of three Canadians in China as an act of retaliation to Meng’s arrest. To be sure, two of them have been held on grounds of suspicions of endangering China’s national security. One of them has, however, been released and safely returned to Canada. It seems foolish not to see a connection with the Meng case. One could argue that Beijing is sending a message by applying a quid-pro-quo mirroring Canada’s stance of stubbornly imposing compulsory measures adhering to the spirit of judicial sovereignty. At the same time, it is possible we are reading too much into it and that there is no direct connection whatsoever. 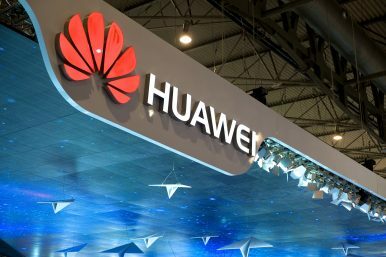 What are the broader business implications of the Huawei case in current U.S.-China trade tensions? I believe we have collectively not grasped yet what all this means. It is probably naïve to think that the arrest was the result of mere judicial circumstances, and if it is related to the trade spat or a wider strategic conflict building with China, it may well be a Huawei-specific measure the U.S. authorities have been taking, for the obvious reasons of the tech giant having grown into a massive competitor with national security implications. But it is undeniable that Pandora’s Box is wide open, and the arrest cannot in good conscience be seen in isolation. If Washington is now in the business of detaining Chinese business executives and the relatives of politically highly-connected captains of industry, not just in Canada but potentially anywhere in the world, for the purpose of having them extradited onto U.S. soil and tried for sanction violations there, what Chinese businessman Washington could have leverage over is going to travel any longer, not just to the United States but any jurisdiction that would be minded to readily comply with forces in Washington? And what are the implications for Canada and other countries that cooperate with U.S. extradition requests? Canada may have simply had to choose sides and allegiance. [Prime Minister] Justin Trudeau famously pointed to the notion that, in Canada, the rule of law governs such decisions and all this is to be treated as a judicial matter. Little did he know when he made this rather righteous statement that, shortly thereafter, [U.S. President] Donald Trump let it be known that he would potentially intervene in the process if it helped to avoid a further decline in U.S. relations with China and [if he could] see the action as part of a deal. Not only did he throw Trudeau’s rule-of-law argument out the window, he also more or less made it clear to the Chinese that the arrest was the modernized version of taking a hostage. At first sight, it does remind a little of medieval times, when such practice was applied to get one’s way, doesn’t it? Beijing’s ire will almost certainly have implications for Canada that could be grave in the long run, not just in trade and foreign relations. In our part of the world, a Canadian passport has been held in highest regards. Chinese have become significant investors in Canadian real estate. But now, I could think of people having lost every respect for the government over their collusion with U.S. courts. If Chinese feel they can’t or don’t want to travel to Canada let alone reside there, who is going to be the first to sell property, in size? From a Chinese point of view, Canada is now on course to be marginalized as a foreign partner. How might the Huawei case exacerbate fault lines in U.S. trade policy toward China? No matter what the optics might end up being, it is safe to assume that the release of Meng will have to be part of any potential agreement between America and China, one way or another. In whatever shape or form a so-called agreement will merely serve as a foundation for further negotiations. It can safely be assumed that the issue around Huawei and its continuing expansion into foreign markets ̶ however much Washington is trying to prevent this from happening by exhorting allies to refrain from engaging in business with the company ̶ will remain in the crosshairs of the current U.S. administration’s hawks. Huawei is at the center, and dare I say a synonym, of China’s strategy of dominating largely self-sufficient high-tech manufacturing in the future, famously dubbed Made in China 2025 and considered an existential threat to U.S. national security. The White House and Congress are perfectly aligned, more so than on literally any other political issue, and united to contain China and prevent it from achieving strategic economic superiority. There is a good chance that the attempted globalization of U.S. law and sanction regime will eventually bifurcate the world’s communities. Washington will not let up on concessions they believe China has to make, but Beijing will not be able to deliver on. Spheres of influence have already been forming. The Western bloc is holding firm for now, but China’s presence across the entire Eurasian plate and Africa is becoming undeniable. This trend is gradually leaving the rest of the world in limbo, with countries eventually having to take sides at one point as Canada had to.